Palm trees line a remote tropical beach along Indian Ocean north of town of Victoria. Photographed March 1, 2011 with a Canon EOS-1Ds III digital camera and 16-35mm f/2.8 lens. Exposure 1/320 second at f/11. This entry was posted on Tuesday, March 1st, 2011 at 5:30 pm. 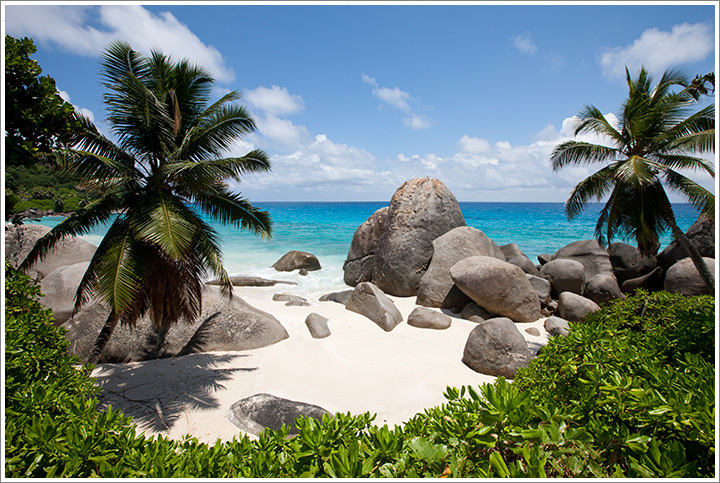 It is filed under On the Road and tagged with Africa, Indian Ocean, Paradise, Seychelles, Travel. You can follow any responses to this entry through the RSS 2.0 feed.